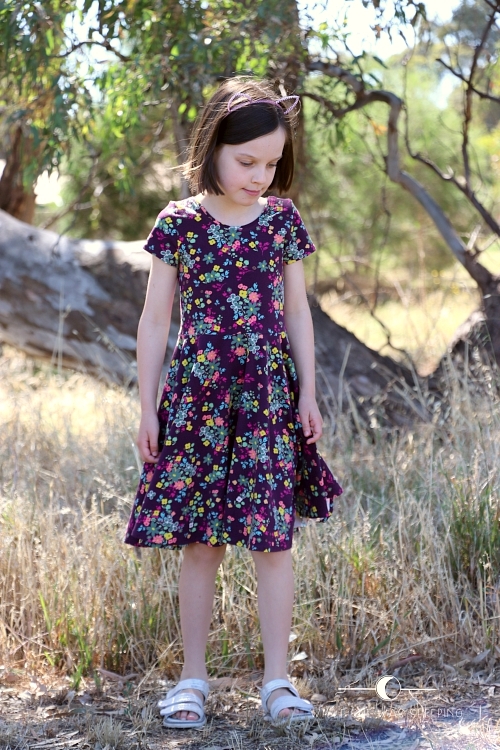 Miss R: Mummy, can you make me a stretchy dress? Miss R: It needs to be super twirly, so that when I spin you could see my knickers. I don't sew for Miss R as much as I used to, simply because she wears school uniform five days a week during a school year. 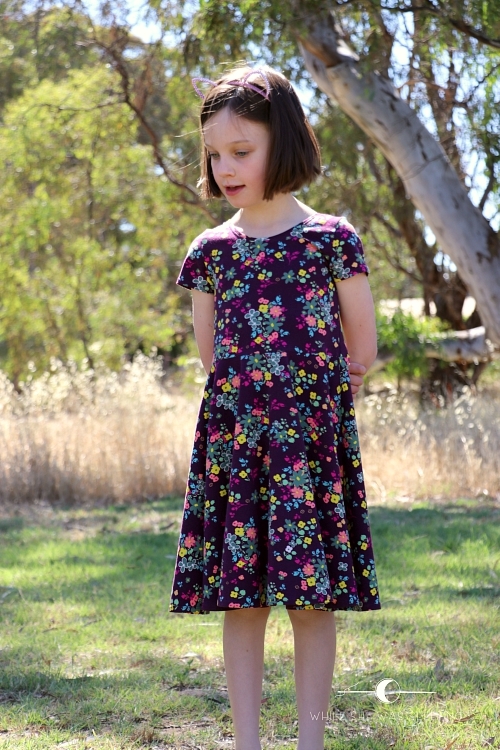 So when she came up with this request I dropped everything and made her a Janie dress... Actually, I didn't. No, I am not a mean mother. Well, I guess if you ask Miss R she might tell you that sometimes I am! But not in this case :) You see, we were heading into cold months when the pattern was released. My heart was set on the ballet scoop back. I knew Miss R would love it! But it just didn't sound practical in the middle of winter. 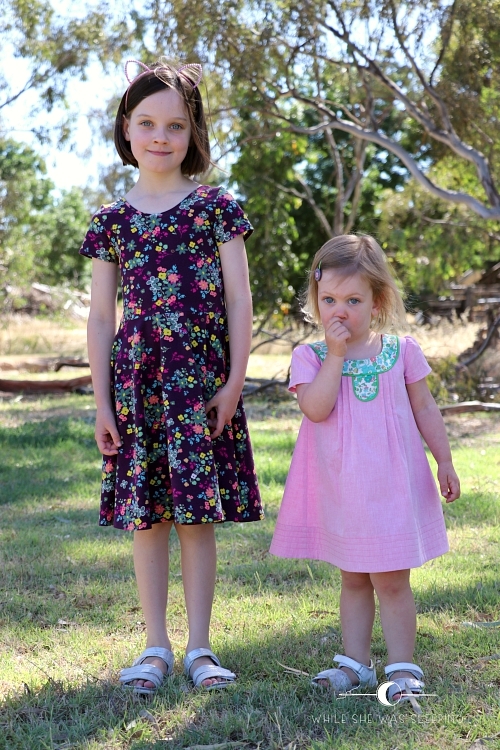 I kept on making one thing after another, and Miss R kept on inquiring when I was going to make her super twirly dress. After a few months I began to feel like a mean mother indeed! As we were heading closer and closer to Christmas I finally granted my daughter's request. 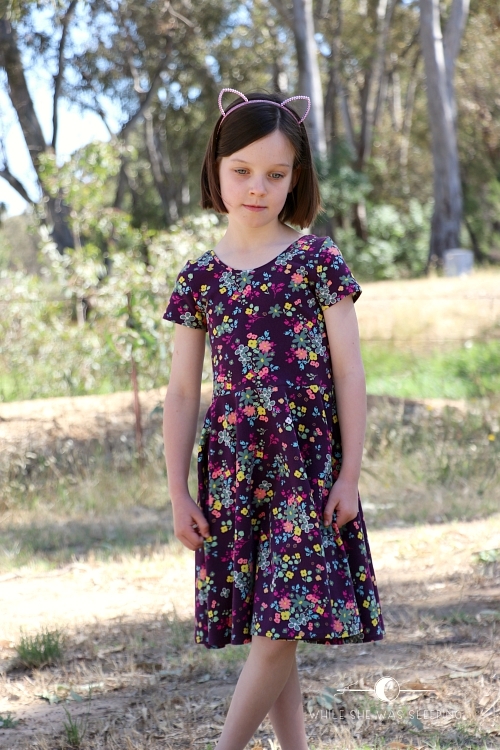 Miss R chose Indie Boheme knit - Blooming soul plum from Ministry of Fabric for her dress. She loved all the colours, so did I. 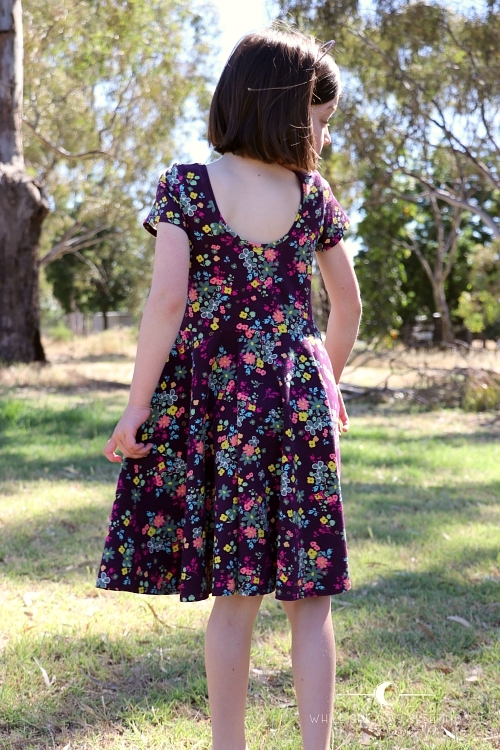 The Janie dress pattern is such a quick and fun sew. It really is as straight forward as it gets, but with a few fun details and of course an irresistible circle skirt this pattern is sure to become an instant hit! 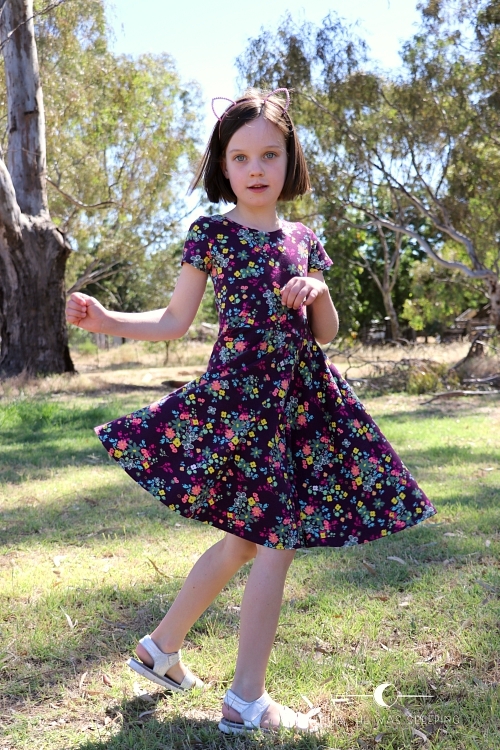 I made this dress in size 6 width with size 7 length. Looking at the photos I am wondering if I should have gone for size 7 around her shoulders as well... or maybe I should have given the shoulder seams a bit more steam to make it sit flat. Every time I set sleeves in I debate which way I need to press the seam, inside the sleeve or outside. What do you do? I love her choice of fabric! 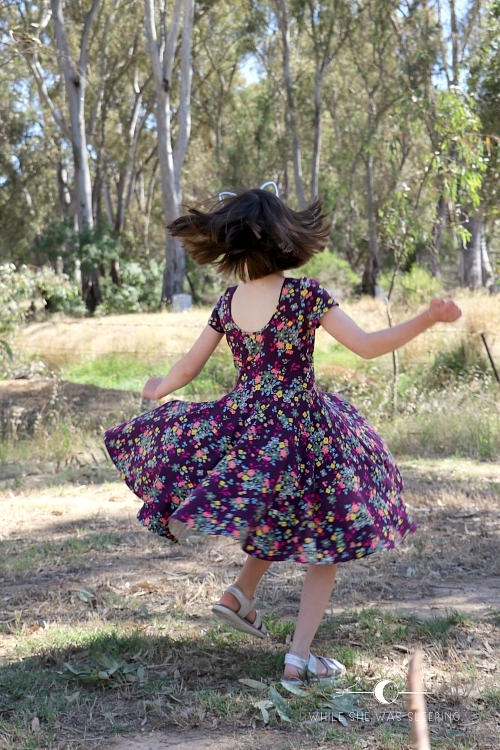 And the Janie dress is a perfect twirl dress - I would have held out for that ballet scoop back option, too. It's so lovely on her and she looks so happy. You are definitely NOT a mean mum with all that you do for your girls <3 Looking forward to seeing your little one's Christmas dress! 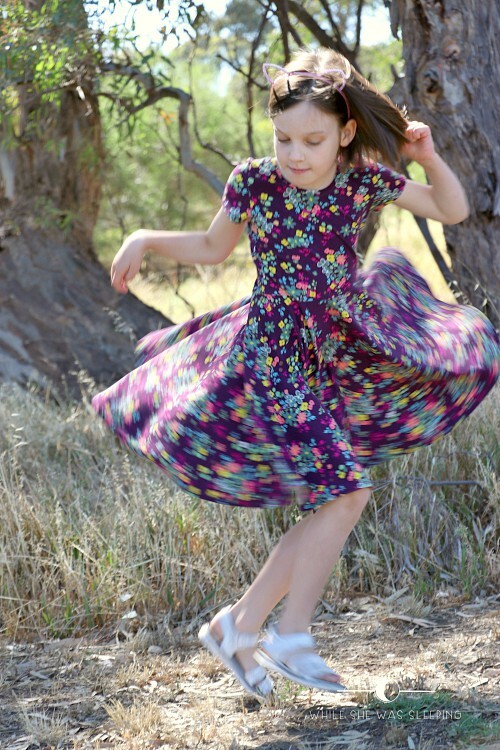 Oh, such a great photo's ;-) Twirling dresses are really the best!!! Gorgeous dress. This would be a hit in this house too!! You really can't go wrong with the Jane dress. :) This one is such a lovely color too! Thank you Jodi. I love this colour in my girlie!